Today’s blog is a little different – it’s not about property – it’s about you! 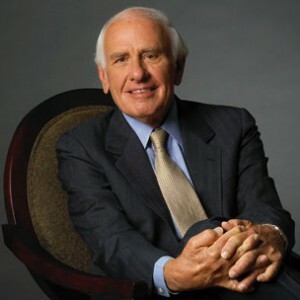 I would like to share the words of the late, great Jim Rohn. Here’s the great challenge of life – You can have more than you’ve got because you can become more than you are. I have found that income seldom will exceed your own personal development. Once in a while income takes a lucky jump, but unless you grow out to where it is it will go back to where you are. Somebody once said if you took all the money in the world and divided it among everyone equally; it would soon be back in the same pockets. However, you can have more because you can become more. You see, here is how the other side of the coin reads – unless you change how you are, you will always have what you’ve got. In order to have more, you need to become more. If that is your philosophy you are destined to stay there. Some people say if I had a lot of money I would be really generous, but I don’t have much so I’m not generous. See, you’ve got to change that philosophy or you will never have “the lots of money”. Unless YOU change, IT won’t change. Amazingly, however, when we throw out our blame list and start becoming more ourselves – the difference is everything else will begin to change around us.